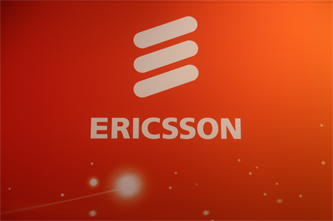 KT will be the first commercial mobile content acceleration service in its LTE network in Q1 2014 based on Ericsson's Mobile Cloud Accelerator (MCA) solution. Ericsson said trials of its Mobile Cloud Accelerator showed that web page download times could be reduced by more than 50 percent. The solution works by guaranteeing traffic transmission quality of certain categories of data, such as premium content and application traffic in the radio access area. Heekyoung Song, Head of Enterprise IT Business Unit, KT commented: "We're pleased to announce that KT will be the first operator in the world to provide a commercial mobile content acceleration service, thanks to our strong partnership with Ericsson. It means that we can expand the connectivity of our premium CDN service from the fixed network, which we launched last year, to the mobile network. MCA deployment in our network will enable us to offer our subscribers a differentiated and higher quality of service. Downloading content in a much shorter time may well be one of the exceptionally good reasons why subscribers choose our network." Jan Signell, Head of Region North East Asia, Ericsson says: "The explosion of connected mobile devices has opened a whole new world of possibilities, and LTE in South Korea is moving faster than in any other market. That's why our partnership with KT is important to us, because it allows us to be in the very frontline of developing future innovative mobile services." Amazon Web Services introduced Kinesis, a fully managed service for real-time processing of high-volume, streaming data. The idea with Amazon Kinesis is to direct the flow of real-time data into cloud-hosted analytic applications and then display desired real-time intelligent via online dashboards. The new service interoperates with other AWS big data services, such as Amazon Simple Storage Service (Amazon S3), Amazon Elastic Map Reduce (Amazon EMR) or Amazon Redshift. It scales elastically to support applications that process data streams of nearly any size, while replicating all data across multiple Availability Zones to help ensure high durability and availability. 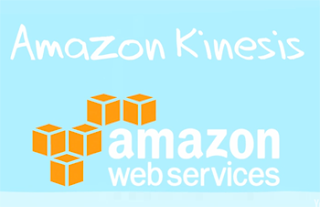 Amazon said Kinesis can allow a customer to store and process terabytes of data an hour from hundreds of thousands of real-time data sources, such as web site click-streams, marketing and financial transactions, social media feeds, logs and metering data and location-tracking events. At the AWS re:Invent! show in Las Vegas, Amazon.com CTO Werner Vogels announced the I2 instances are optimized for high performance random I/O. AWS said the greater performance is achieved using 2.5 GHz intel Xeon E5-2670v2 processors with Turbo mode enabled. EC2's new enhanced networking, and SSDs. At the high-end, i2.8xlarge instances will be able to deliver 350,000 random read IOPS and 320,000 random write IOPS. 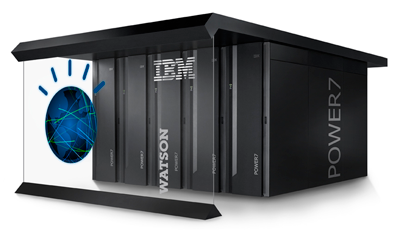 IBM announced plans to make it Watson technology available as a development platform in the cloud. The idea is to enable software application developer to build a new generation of apps that leverage Watson's cognitive computing intelligence and ability to ingest both structured and unstructured data. IBM said its goal is to create a cloud-hosted marketplace where application providers can tap into its library of resources for Watson-powered intelligence. IBM will supply a developer toolkit, educational materials and access to Watson's application programming interface (API). IBM is already working with partners on applications for smarter online shopping comparisons, medical equipment supply chain management, and personalized healthcare recommendations. “By sharing IBM Watson's cognitive abilities with the world, we aim to fuel a new ecosystem that accelerates innovation, creativity and entrepreneurial spirit," said Michael Rhodin, Senior Vice President, IBM Software Solutions Group. “With this move, IBM is taking a bold step to advance the new era of cognitive computing. Together with our partners we'll spark a new class of applications that will learn from experience, improve with each interaction and outcome, and assist in solving the most complex questions facing the industry and society." Zayo announced expansion of Amazon Web Services (AWS) Direct Connect as an Amazon Partner Network (APN) Technology Partner. Specifically, Zayo will offer AWS Direct Connect sub-1G hosted connections at all US AWS Direct Connect locations, as well as Telecity in London. 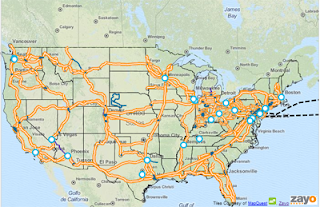 Zayo provides private networks connectivity to each AWS Direct Connect location and offers flat rate Metro/Intercity pricing to its customers for connections directly to AWS in key markets, including New York City, Los Angeles, San Jose, Seattle, Ashburn, Va., and London. Since 2011, Zayo has provided direct bandwidth up to 10G through AWS Direct Connect portal, and the new APN will enable customers to more easily find high quality technology partners that support the AWS cloud platform. APN allows customers to establish a private, secure connection directly to AWS platform across Zayo’s expansive network. “Our support for AWS Direct Connect allows our customers to seamlessly transition onto cloud computing platforms,” says Stephanie Copeland, senior vice president of Ethernet at Zayo Group. “AWS is a pioneer in cloud computing and the APN fully aligns with our goal to provide customers with highly scalable, flexible and cost effective cloud connectivity. IBM agreed to acquire Fiberlink Communications, a mobile management and security company based in Blue Bell, Pennslyvania, for an undisclosed sum. IBM said Fiberlink’s MaaS360 cloud-based offerings will enable it to deliver a complete mobile management and security solution via IBM MobileFirst, which includes trusted transactions and security intelligence capabilities for mobile apps, users, content and data. China Mobile has selected Alcatel-Lucent’s all-IP Evolved Packet Core portfolio to support the nationwide rollout of its 4G LTE network, set to be the world’s largest mobile ultra-broadband network. Specifically, China Mobile has awarded Alcatel-Lucent 24 percent of its overall EPC network. The contract covers the Alcatel-Lucent 7750 Service Router - Mobile Gateway, the Alcatel-Lucent 9471 Wireless Mobility Manager, and the Alcatel-Lucent 5620 Services Aware Manager (SAM). Financial terms were not disclosed. 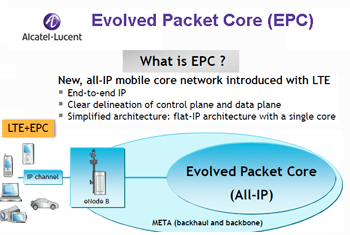 The Alcatel-Lucent Evolved Packet Core (EPC) is a high-capacity IP solution that consists of three platforms – data, mobility and policy. In September 2013, China Mobile selected Alcatel-Lucent to deploy 11% of their new LTE network, consisting of more than 200,000 TD-LTE base stations, by the end of 2013. DragonWave launched 60 GHz capabilities for its Horizon Compact+ and Avenue Link product lines. DragonWave said 60 GHz radios are well suited for metro deployment in small cell architectures due to their small form factor and high-capacity, low-delay transport capabilities. The 60 GHz spectrum is widely available and generally offered at a lower cost than other bands. First deployments and small cell trials have verified the operational feasibility of 512 QAM at 60 GHz, with reaches over 1 Km. The integrated 5" antenna makes the 60 GHz Avenue Link product a logical choice for urban deployments on street furniture. 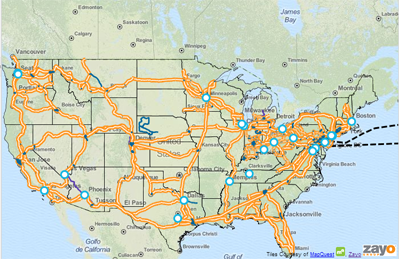 The initial deployments of 60 GHz have also achieved 0.1 ms delay to support LTE backhaul. In addition, the trials characterized DragonWave's unique bandwidth accelerator technology, with some trials yielding capacity and spectral efficiency improvements greater than 50%. "60 GHz is globally available and emerging as a viable, low-cost spectrum that will be a key building block for large scale small cell networks, said Greg Friesen, vice president of Product Management, DragonWave. "We're confident that the commercial release of this band adds a new, useful element to the operator's toolbox and it is an important addition to our expanding Small Cell portfolio." 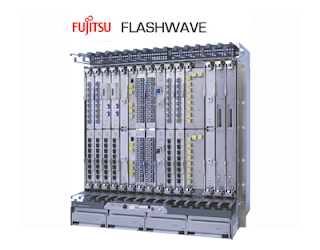 Fujitsu's FLASHWAVE 9500 Packet Optical Networking Platform (Packet ONP) will be deployed at next week's SC13 conference in Denver to support SCinet, which is used at the event by university, government, and industry volunteers to showcase cutting-edge platforms in high-performance computing (HPC), networking, storage and analysis. During the conference, one FLASHWAVE 9500 node will be located at the Colorado Convention Center, and the other node will be located a few kilometers away at a local Point of Presence (POP). Three services, supporting a wide variety of bandwidth-driven applications including supercomputing and cloud computing, will be operating between the two nodes: Two 10G-bandwidth services and one 100G-bandwidth service will traverse the network on a single fiber pair using DWDM technology. 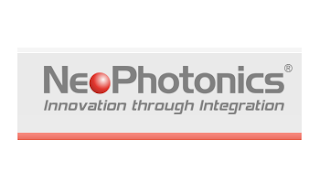 NeoPhotonics, which supplies photonic integrated circuit based optoelectronic modules and subsystems, reported record Q3 revenue of $76.8 million, up $1.8 million, or 2.4%, from the prior quarter and up $10.7 million, or 16.1%, from the third quarter 2012. For the quarter, the Company had three customers that comprised over 10% of revenue including Alcatel-Lucent (18%), Ciena (13%) and Huawei Technologies (23%).